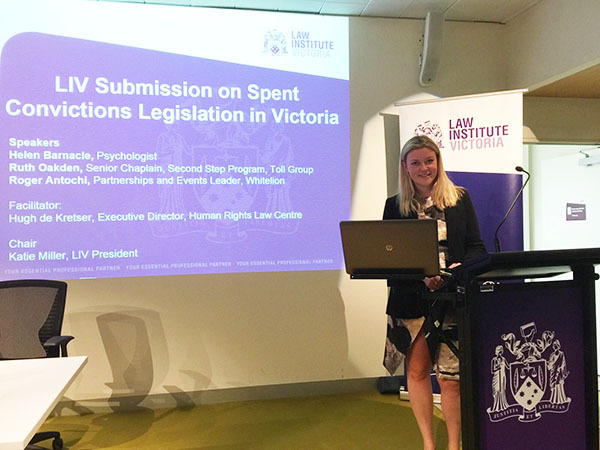 The Melbourne Law School (MLS) Legal Internship subject enables JD students to undertake vocational placements at a variety of public interest organisations in Melbourne and beyond for subject credit. An internship is about practical legal experience. The Legal Internship subject allows students to apply their substantive legal knowledge and academic skills to real legal problems. Internships also assist students to develop a whole range of practical legal skills that cannot be obtained in a classroom, which enhances their ability to undertake legal work in a professional environment. Similarly, internships can foster or deepen an awareness of the wider social and policy issues relevant to particular areas of practice. Public interest internships are very rewarding experiences that can also be a great way to enhance a CV and assist with career planning. An internship can provide students with an insight into career paths, and assist them in establishing valuable professional networks with lawyers and staff at their host organisation. This opportunity is particularly valuable for students because it can help to clarify their interests and guide their future career choices. There are two types of Legal Internship – PILI Internships and Independent Internships. PILI Internship opportunities are created exclusively for JD students at MLS and will be advertised on the JD LMS Community. PILI currently has formal partnership arrangements with a diverse range of organisations in the field of public interest law. This allows students to select from a number of internship opportunities that consist of various kinds of work and relate to different areas of the law. PILI Internship opportunities are available in the private, public and community sectors, across all specialisations. experience in the MLS News article, 'A Barrier to Change: Submission Calls for Spend Convictions'. The Legal Internship subject supports students who would like to undertake an internship for credit that they have organised themselves, whether local or overseas. Students who wish to complete an Independent Internship must meet certain criteria in order to enrol and obtain subject credit. Interns can be hosted at a public interest organisation where they will be able to undertake legally-oriented work. All Independent Internships are subject to faculty approval. Programme (UCWIP). Read about their experiences in the MLS News article, 'Life Outside of the Law'. Examples of host organisations include government departments, regulatory and statutory bodies, courts and tribunals, legal assistance sector organisations such as legal aid or community legal centres, and non-government or not-for-profit organisations. Students can choose to intern locally, interstate or internationally. The Aurora Native Title Internship program places law and social sciences students and graduates at Native Title Representative Bodies (NTRB) and Indigenous corporations, government bodies, community groups and other policy organisations across Australia. Interns assist in legal work, policy development, and Indigenous affairs more broadly. The internships allow participants an opportunity to explore careers in these areas, while also contributing to organisations in need of additional resources. The internships are usually of four to six weeks duration. They can be taken for subject credit. For more information about Aurora Native Title Internships, contact Kate Fischer Doherty at kfischer@unimelb.edu.au. The British Institute of International and Comparative Law (BIICL) is one of the world’s leading independent research centres for international and comparative law, promoting the rule of law in national and international affairs. A unique opportunity exists for Melbourne Law School (MLS) students to undertake an internship assisting Associate Senior Research Fellow in Public International Law, Dr Jean-Pierre Gauci, on a BIICL international law research project. The Uni-Capitol Washington Internship Programme (UCWIP) creates internship opportunities in Washington DC exclusively for Australian university students. It offers a unique exchange between Americans and Australians that takes place in the United States Congress. A core principle of the UCWIP is to successfully match students to congressional offices. Internship prospects are offered in Democratic and Republican offices; personal and committee offices; the House and the Senate; and one commission office. 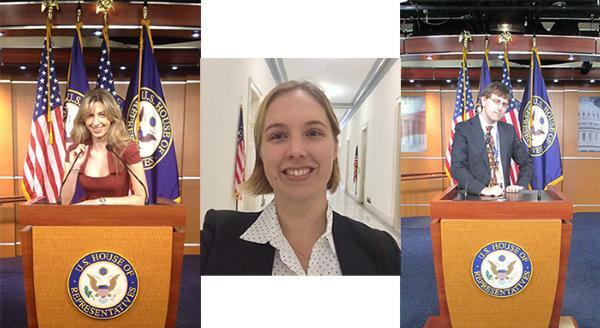 UCWIP intern experiences will vary widely according to the needs of the congressional hosts. Administrative functions, constituent liaison, and legislative research and support have been among the touchstones of past internships. UCWIP currently includes 10 participating Australian universities. The internships last for eight or more weeks and are full-time. UCWIP internships must be completed for subject credit. First year JD students are not eligible to apply. For more information about UCWIP and the application process, see the online 2019 Program Guide or contact Kate Fischer Doherty at kfischer@unimelb.edu.au. Enquiries about Legal Internship can be directed to the Subject Coordinator, Kate Fischer-Doherty at kfischer@unimelb.edu.au.